National Volunteer Week: Meet Youth Challenge Inc. Thanks for printing! Don't forget to come back to Chick-fil-A Foundation for fresh articles! This week, April 7-13, is National Volunteer Week. Established in 1974, it’s an annual time to serve our communities, and, celebrate the impact of volunteer service. As we celebrate, the Chick-fil-A Foundation is providing staff members with opportunities to serve the community around our Support Center in Atlanta. From writing notes of encouragement to children to delivering meals to senior citizens, our staff is getting involved and giving their time to serve others. But it doesn’t stop here. Throughout the year, the Chick-fil-A Foundation provides staff with opportunities to serve in ways that are meaningful to them. And beyond that, many Chick-fil-A staff create their opportunities to support those living in their communities. Here’s how two staff members are doing just that. Outside of their day jobs as Chick-fil-A staff members, Omari Henderson, Principal Category Lead, Menu and Packaging, Restaurant Experience, and Patrick Davis, Principal Development Lead, Southwest Region, Development and Construction, were each working to inspire young African-American men in Atlanta to pursue their dreams. 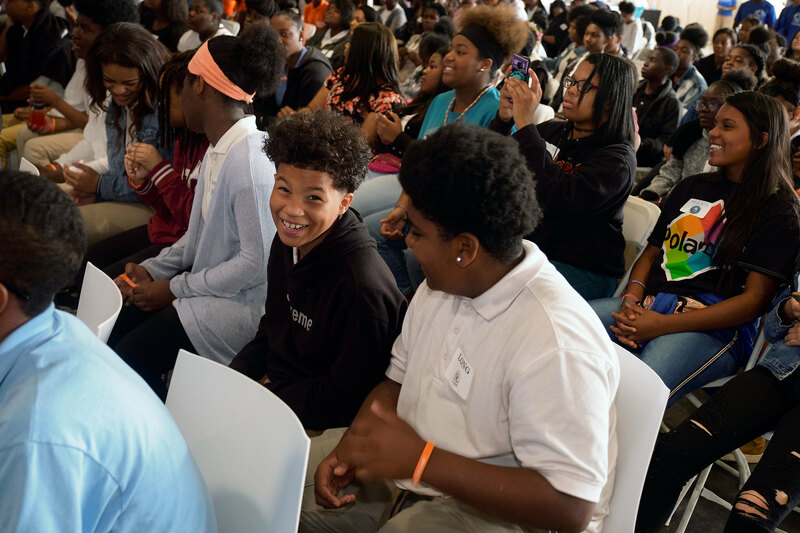 In 2016, Henderson created Youth Challenge Inc., a non-profit mentoring organization, after noticing that even in Atlanta, there were many cultural and developmental opportunities his teenage son and his friends were not experiencing. At the same time, Davis and his wife had decided to organize a STEAM (Science, Technology, Engineering, Arts and Math) event for male students in grades 7 through 12. 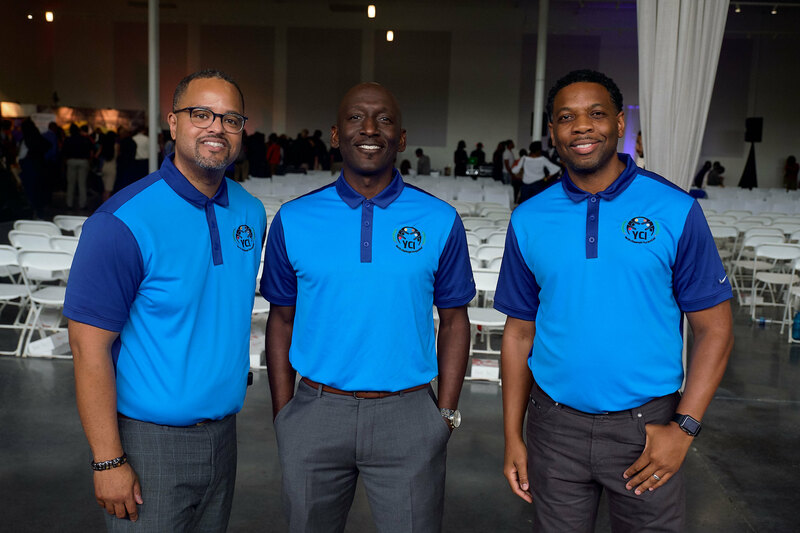 When the two men learned what the other was doing, they decided to join forces—keeping the name Youth Challenge, Inc., or YCI. Today, YCI is focused on inspiring hope and purpose in young men ages 13 to 17 in the metropolitan Atlanta area through access to academic, economic and social enrichment opportunities. Led by men from all walks of life—from entrepreneurs and corporate executives to non-profit leaders—YCI teaches a curriculum based on four pillars: entrepreneurship and career development; community engagement and stewardship; financial empowerment; and leadership development. “We want young men to know they can create the future they desire,” Davis says. 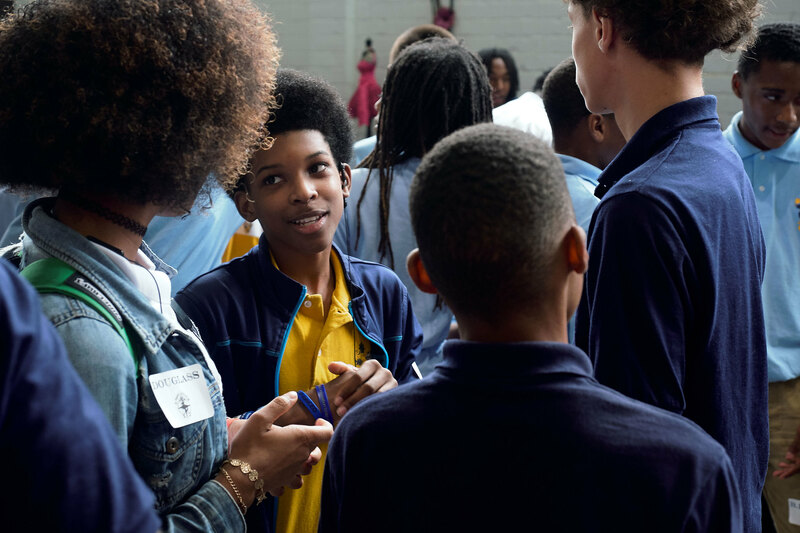 In Fall 2018, YCI hosted its first STEAM event, bringing 600 kids primarily from Atlanta Public Schools, who don’t often have these opportunities, to a panel discussion and an exposition highlighting diverse STEAM opportunities. The students heard scientists, artists, engineers, musicians and producers talk about their career paths, and then experienced robotics, music production, graphic design and drone technology. If you're interested in getting involved in National Volunteer Week, visit Points of Light to find opportunities to serve in your local community. Where does Chick-fil-A donate money? © 2019 Chick-fil-A Foundation. All Rights Reserved. All trademarks shown are the property of their respective owners.